Everyone should have a “Grandma Walker.” She’s the grandma that sweetened your visit with favorite treats, filled her kitchen with aromas that would waft through your lifetime, someone who shared her special old-time recipes with you and who inspired you to pass them along to others. My friend and “recipe pen-pal” Ruth Anne Greer of Scottsdale had a Grandma Walker, and because of her, my recipe box is one happy place! Most days, you’ll find Ruth Anne smiling behind the counter at Switch Consignment on Scottsdale Road, north of Thunderbird, a fun new spot for home furnishings, gifts, and more. The day we went from chatting about bistro tables to what to serve on it was the day our delicious recipe exchange began (okay, it’s a one-way exchange – Ruth Anne shares her recipes and I race home to make them). We’re now having so much fun with her dishes, we’re leaving recipes at the front counter for customers! 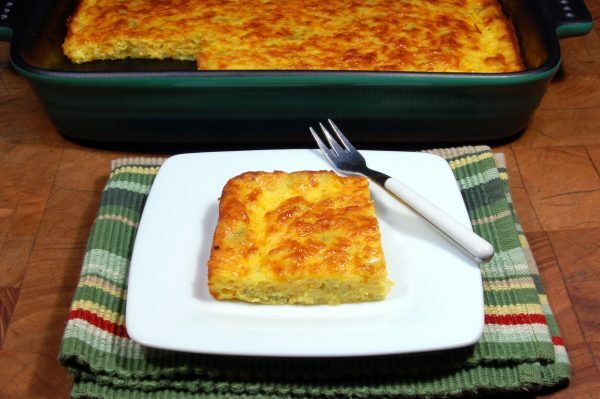 This week, I’m featuring Ruth Anne’s amazing Eggs Mexican Casserole, a perfect and simple meal for weeknights, Sunday brunch, or as a fabulous party dish. I use fresh green chiles and a combination of cheddar and jack cheese. It’s out of this world! In a large bowl, combine eggs, butter, flour, and baking powder, mixing well. Stir in the cottage cheese, Jack cheese, and chiles. Pour into a greased casserole dish (approximately 9" x 13"). Bake at 400ºF for 10 minutes. Reduce the temperature to 350ºF and bake for 20 minutes, or until golden-brown on top. May be made ahead of time and frozen.